Hello again! 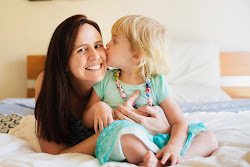 Today I bring you a collection of tips, strategies and advice from REAL mummies of two year olds who are living it right now. Some call it the terrible twos, some call it the magic of childhood but I'm sure we all find it challenging from time to time. If you missed the last one - click here - Ridiculous (and hilarious) reasons for toddler tantrums. 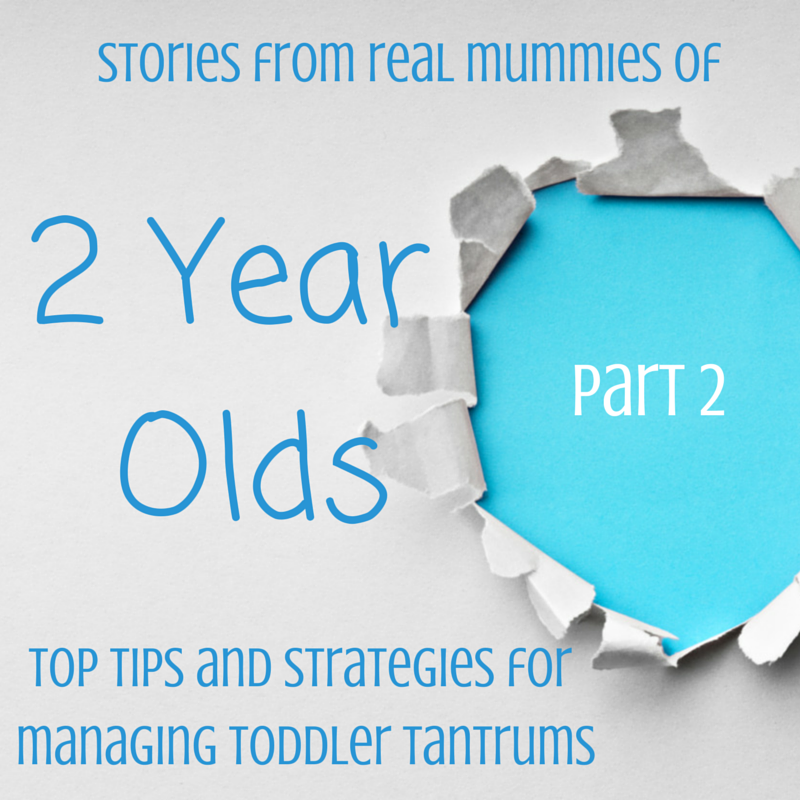 I asked the mummies in my online mother group for their top tips and strategies for managing their toddler's difficult behaviour, and how to deal with the tantrums. Something that really hit home for me is that we were ALL experiencing very similar behaviour with our toddlers, and it was reassuring to know I wasn't alone. 1. Our most frequent strategy is offering choices which both achieve what I want e.g. "Do you want to walk or be carried to your change mat?" Most of the time she's happy to comply because she gets some say in the situation. 2. Logical consequences for behaviour where possible/appropriate. This involves a reminder of what is required and an explanation of what will happen if the behaviour continues i.e. "Pencils are for drawing not for throwing if you don't use the pencils properly and throw the pencils again I will take them away". If she throws them again I will take them away for 2 minutes then remind her of what they should be used for. One is used as a logical consequence mentioned above (not playing nicely with others = not being able to play for awhile). This is 2 minutes on her bed. I explain what the timeout is for leave, come back remind her what it was for then she apologises to me or whoever needs the apology I tell her I love her and we have a cuddle. The other is 'calm down time' this is generally if she is angry/disappointed/frustrated about something (usually something she can't have) and is getting into crazy mode. She goes on her bed again but this time has books and a glitter sensory bottle and has time to settle herself. Triple P has some good resources, however this program would say that our March bubs are too young for strategies like 'time out' as they won't quite get it. I still do it sometimes though, but more like quiet time. Instead of being removed from an activity, she has to sit down to the side of what we're doing and I explain calmly what she did and why its not OK. Another good program for their age is called Tuning into Kids, it helps with emotional regulation. We have a couple of strategies that work for us and depending on the misbehaviour. Our most used strategy is 'Three warnings'. I let him know what he is doing, then give him a few seconds to correct the behaviour, if he chooses to continue then I say his name and count slowly to 3. (We never go past this point anymore, he actually stops and says "no three") but if he was to continue then I would remove him to a quiet spot together and chat about why I didn't want him to continue with the behaviour, let him know I'm going to give him time to think and then I walk away and give him a moment to calm and comeback with no set time. When Miss A is having a tantrum, I try to ignore it as best as possible to avoid encouraging the naughty behaviour. So far it has worked though it can be trying if we're in public. If she's generally being bad with say biting and throwing things, I follow the 3 strikes rule and then we leave. It's harder to follow at home but I make do as best as possible. Master F NEVER does anything the first time I ask, so we ask him twice, then count to three. We rarely get to three, but if we do he gets a consequence and we talk him through what he has to do and we instigate actually doing it and he'll help. More and more frequently though we are getting into a 'Mexican standoff' situation where he just won't move. It like he just freezes and can't move. We get down to his level and explain again what he has to do and tell him that he won't be in trouble if he does it. Very rarely he'll go nuts and scream and shout and lash out and this is when he goes onto the naughty step, which he HATES. We went through a spate of this but haven't needed to use it for a few weeks. Consistency is the key and both parents need to be on board and agree with whichever strategy you use. A 'thinking chair' can be an alternative to 'time out'. Set the timer for a few minutes and when it beeps, use visual pictures to illustrate to the child where they went wrong with their behaviour (just google 'visual rules for kids' or something along those lines (these are often used for children with special needs who do not yet have the language skills). Give whichever strategy you decide to try some time before you start to see results. The March Mummies also came up with a fantastic list of other websites and resources for this type of thing. Also, a while ago I wrote an article for Adelaide Mummy Meetings about managing the meltdowns. Click here! If you have any tips or stories please comment below! Sometimes I find myself saying to Miss M "Do you just need a hug? ", or "Use your words and tell me what you want." (to which she responded with "Do some art please mummy" - aw bless!). The count down from 10 to complete whatever she's doing (eg washing her hands) to prevent a tantrum is working well for us at the moment. Thank you again March Mummies for your wonderful advice!